Description - Looking for plush carpet, but don't want to spend an arm and leg for it? Then look no further than Mohawk's Vintage Luxury carpet. 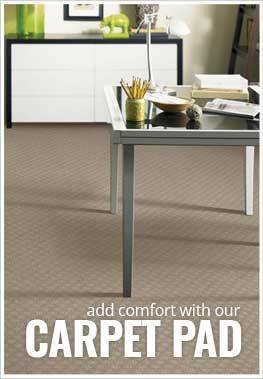 Soft, comfortable and durable, this carpet is the perfect floor for any room in your home. Resistant to staining, soiling, and pet urine, this carpet is very resilient and is certain to look great for years to come. Backed by a lifetime warranty, this broadloom carpet is U.S. made meaning it is very safe and made with quality materials. Material - EverStrand® BCF/Triexta Blend 73%, PET 27%. Recommended Uses - Mohawk Vintage Luxury carpet is the perfect carpet for any room in your home providing comfort and warmth where installed. This broadloom carpet is commonly found as flooring in bedrooms, living rooms, family rooms, dining rooms, as home office flooring, in churches, as flooring in dens, in spare rooms and much more.